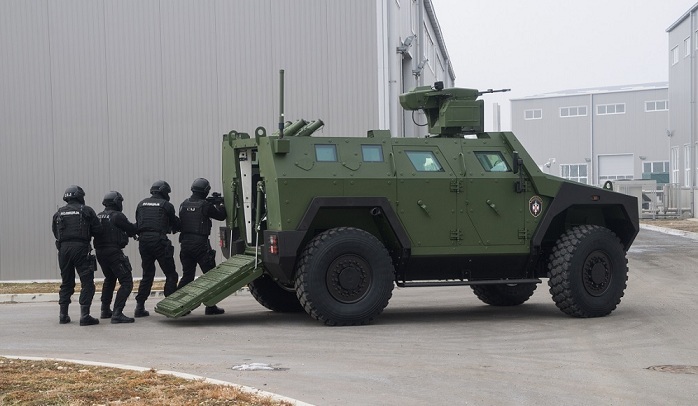 The armoured multi-purpose combat vehicle, with 4x4 drive – Milosh belongs to the category of modern armoured vehicles intended for the performance of wide range of missions in the activities of police and armed forces. 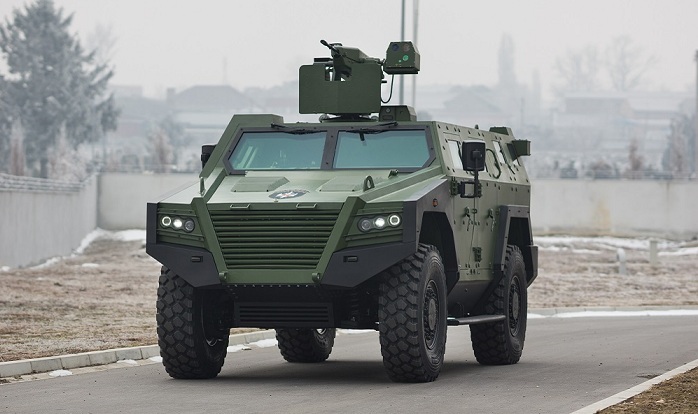 The main concept of the vehicle is based on a self-supporting hull, modern drive and transmission assemblies and an independent suspension system which ensures high mobility in any terrain and weather conditions with the maximum combat weight exceeding 14 tons. 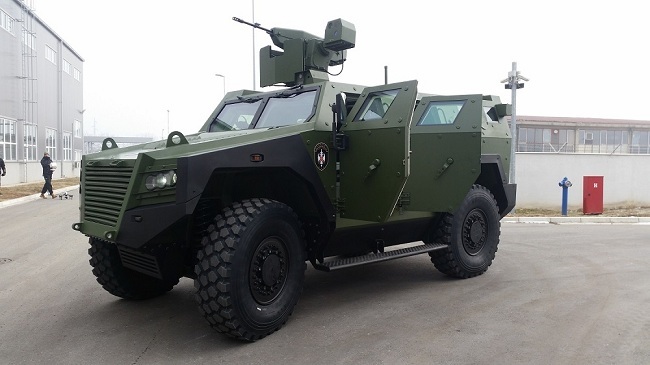 The vehicle can be used for: patrol missions, reconnaissance missions, as a command vehicle, for transportation and support to the units for special operations, in anti-guerrilla, anti-terrorism and anti-tank operations, for the border and territory control, etc. 300 HP CUMMINS ISB 300 diesel engine is installed in the front part of the vehicle which gives the vehicle a specific appearance. The engine, automatic transmission Allison 3500SP and other power transmission components ensure the maximum speed of the vehicle which exceeds 110 km/h. 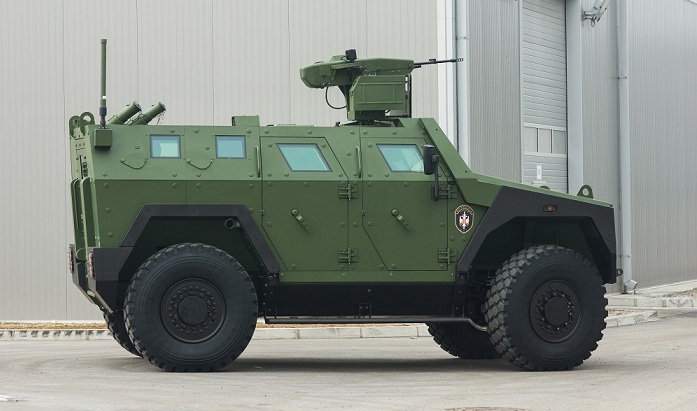 The hull which is made of armoured sheet steel in its basic version ensures a very high level of ballistic protection (Level III on the front side and Level II on the other sides as per the NATO standard Stanag 4569), as well as a high level of anti-mine protection (Levels IIa and IIb as per STANAG 4569). 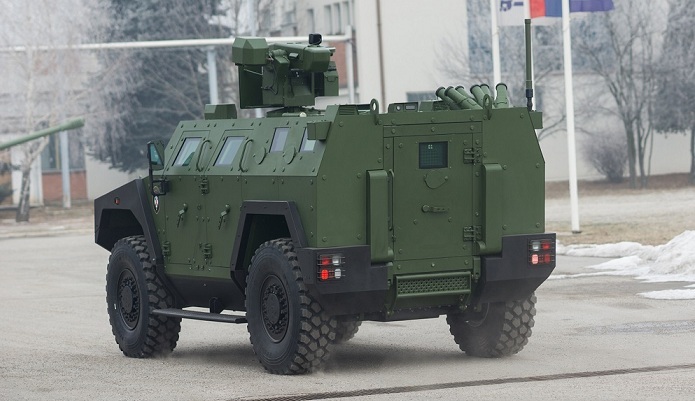 The vehicle is intended for the performance of numerous tactical missions and for that purpose it can be equipped with different types of weapons and specialized equipment: day and night remote control weapon station equipped with 12.7mm machine gun, different types of manually controlled armoured turrets equipped with machine guns and grenade launchers, long-range anti-tank guided missile systems (5 to 8.5 km), AD rocket systems, as well as optoelectronic thermal imaging and TV and radar systems for the border control and surveillance which are mounted on telescopic masts of different heights. and night vision and driving cameras. in case the tires are seriously damaged, and they also feature the central tire inflation system. Owing to the wheels with 20 inch aluminum rims, the vehicle has a robust appearance and features high mobility and off-road capability. The clearance of the vehicle is 420mm and the maximum weight is 14 tons. 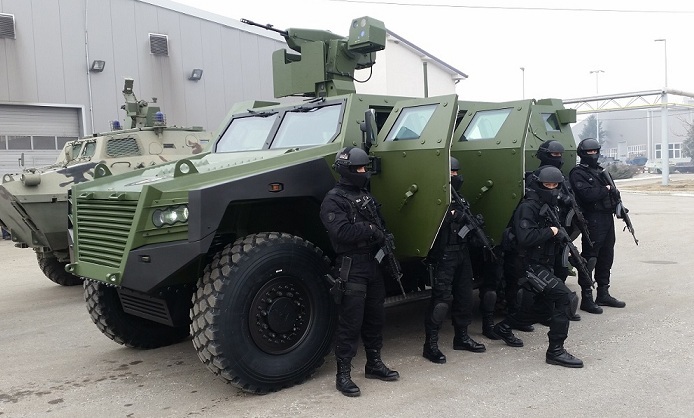 Additional ballistic protection is modular, and its design provides fast replacement of the damaged plates of the additional armor in field conditions and achieving different levels of protection by combining the ballistic plates of the additional armor depending on its purpose. The standard version of the combat vehicle accommodates 8 member crew, out of which 4 members are located in the rear part of the vehicle with the possibility of fast disembarking and embarking by means of the rear hydraulic ramp or the rear door, while 4 members in the front part of the vehicle disembark and embark the vehicle by means of four standard side doors. Six 82 mm smoke pot launchers are mounted on the hull roof.